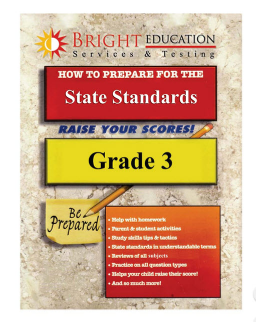 We offer practice materials for most standardized tests including the Common Core in grades K-12. 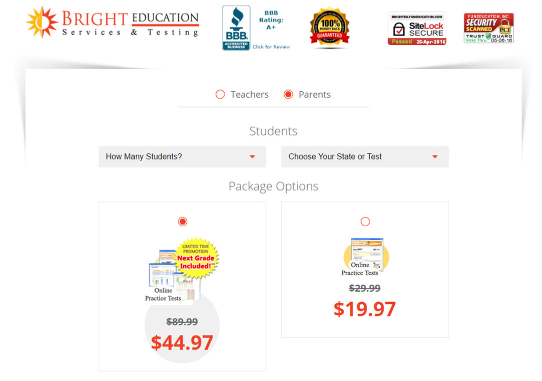 We have 2 main products, Online Practice Tests and Printable Workbooks. 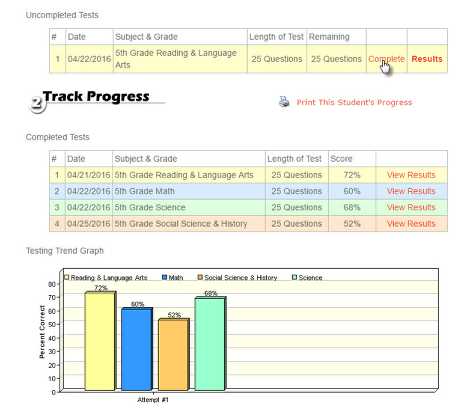 The online practice tests give each student access to an online account where he or she can take tests in his or her particular grade level, have that test scored automatically, and track the results with detailed charts and graphs.